Scalloped border design is an important feature of valance designs and bindings of awnings. The scalloped border design is located on the valance (the edge of the awning cover). The design options for the valance of an awning are diverse. Valance designs can be simple of ornate. 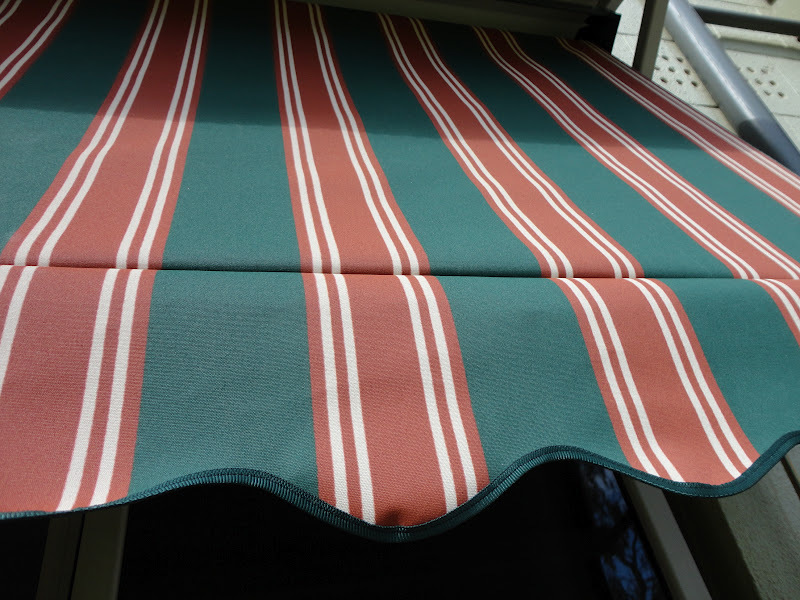 It can include a wrapped edge scalloped border design as well to give your awning a very tight and clean fit. You will not have to worry about the breeze moving your hanging fabric with this design. Valance of awnings can be customized to incorporate your brand’s identity or highlight an individual flair and style to show off your business’ unique personality. Valances on awnings have the ability to create an important visual aspect for your business. Special attention to the cut of scallops should always be done for the most appealing outcome. Trim and appliques can be added to any valance style to contrast or match the color of your fabric. To review scalloped designs from Carroll Awning Company, click here. Scalloped valances curves can be short, deep rippled or long and shallow in waves. Awnings can be designed to be durable, water-repellent, fade-resistant in fabrics to give your commercial building the best protection and style. Beautify your awnings with valance-scalloped designs today.